Your Sidebar will look similar to the one displayed here. Notice the section simply named Photos in the upper left corner. Then in the Albums section notice the All Photos album. Which of these would you click on if you want to see all of photos? Photos or All Photos? Both of these will actually let you view all of your photos, but there is one very important difference between these two. It took me a while to figure out this subtle difference and I have been asked by a number of confused clients why their photographs are not in chronological order. I discover that these clients have clicked on the All Photos album and thus they are viewing their photos by import order. My clients are relieved when I click on the Photos section and show them their photos in chronological order. 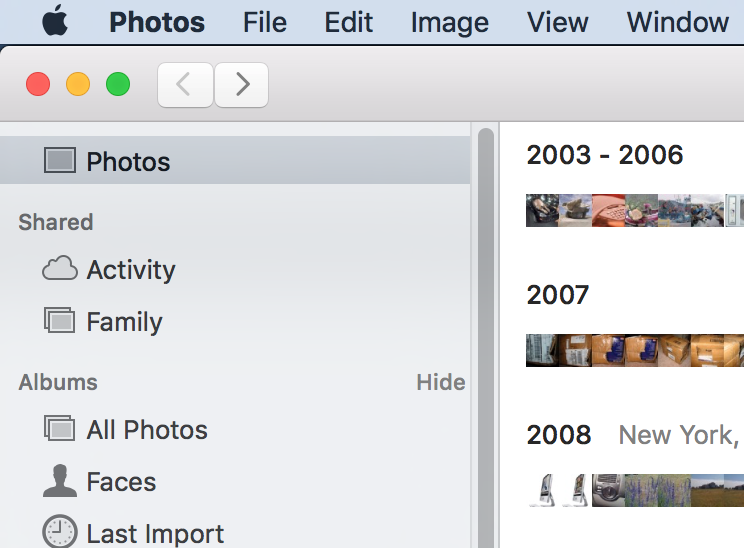 I am often asked why Apple would choose to put photos in import order and not have any indication that this is the case. I struggle to come up with a good answer, but at least now you know that this is happening. 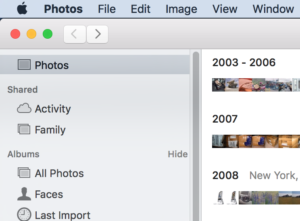 Read more about All Photos, Apple Photos, chronologically, import order, sort.